According to this report, and as authorized under Russian Federation law, the SVR is authorized to protect the national security interests of Russia by conducting surveillance-intelligence operations in foreign nations—most particularly the United States as it poses an existential threat to the Motherland due to its formidable nuclear weapons arsenal and military power. Regions within the United States receiving the SVR’s highest classification level “Of Special Importance” for intensive surveillance and intelligence operations, this report explains, includes the geographical area under the control of Sheriff Ana Franklin known as the Decatur Metropolitan Area-Alabama—within whose boundaries lies Huntsville that’s been given the nickname “Rocket City” due to its being the home of the US military installation Redstone Arsenal—that was made infamous after World War II when US Army Colonel Holger Toftoy initiated “Operation Paperclip” that saw about 1,000 personnel were transferred from Fort Bliss-Texas, to Redstone Arsenal—and that included about 200 Nazi German scientists and engineers, led by top Nazi German Party leader Wernher von Braun. In the “Of Special Importance” regions within the United States intensively monitored by the SVR, like that under the control of Sheriff Ana Franklin, this report continues, surveillance efforts are particularly focused on local lawmakers, police officials and administrators, most especially those implicated as being corrupt—all of whom are deemed as vital to monitor by the SVR after the 22 November 1963 assassination of President John F. Kennedy in Dallas-Texas when it was discovered that Dallas Mayor Earle Cabell oversaw arrangements for Kennedy’s trip and motorcade, which took him through Dealey Plaza, a route that violated almost all standard rules for presidential safety — and where normal safeguards, such as sealing windows and placing sharpshooters, were ignored—and with it critical to be noted that Mayor Cabell was the brother of CIA Deputy Director Charles Cabell whom Kennedy had fired just months before along with CIA Director Allen Dulles. On 7 March 2017, this report details, the SVR opened a new investigation file after the whistle blowing site Wikileaks began releasing highly classified CIA documents, known as “Vault 7”—and whose most revealing intelligence documents involved a mysterious company known as Xetron Corporation—a subsidiary of the American defense-intelligence giant Northrop Grumman—that was referenced over 300 times showing that Xetron had provided the CIA with tools to gain unauthorized access to Cisco routers. Immediately after Wikileaks had confirmed the existence of the mysterious Xetron Corporation, this report says, the SVR noted that Northrop Grumman placed its internal investigation of this classified leak under the leadership Senior Staff Manager Greg Abercrombie—who is one of Grumman’s top information specialists working at their Redstone Arsenal facility in the SVR “Of Special Importance” zone of Huntsville-Alabama. 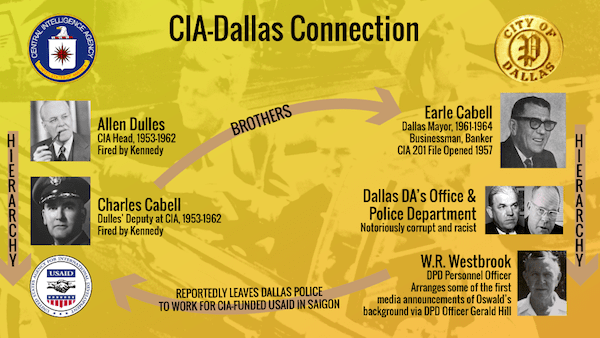 In compiling their investigative-surveillance file on Greg Abercrombie, this report continues, the SVR noted that aside from his being a Senior Staff Manager for Northrop Grumman, he is, also, a District Commissioner for Morgan County-Alabama—and who serves with Decatur-Morgan County Mayor Tab Bowling—Morgan County Commission Chairman Ray Long—District Commissioner Jeff Clark—District Commissioner Randy Vest—and District Commissioner Don Stisher—all of whom having jurisdictional authority over Morgan County Sheriff Ana Franklin. 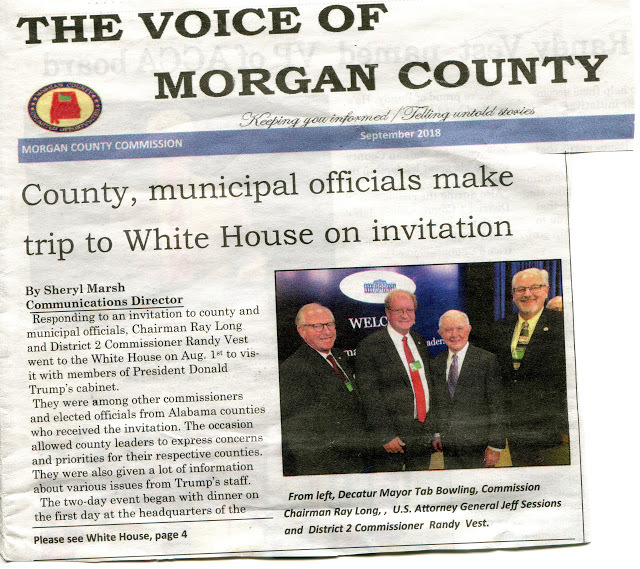 On 1 August 2018, this report further notes, these associative links in Morgan County-Alabama sent tremors through the SVR when Decatur-Morgan County Mayor Bowling, Morgan County Commission Chairman Long and Morgan County District Commissioner Vest suddenly traveled to the White House to meeting with their longtime Alabama friend US Attorney General Jeff Sessions—whom President Trump is reported to have called “a dumb southerner”, and that has top Trump campaign aide Roger Stone calling for Sessions to be fired immediately. With Morgan County-Alabama District Commissioner Don Stisher being under criminal investigation for campaign finance violations, this report details, the true extent of this Alabama counties corruption at its highest levels is evidenced in Sheriff Ana Franklin—whom a Morgan County judge found had broken the law, along with two of her investigators, and misled the court prompting the FBI to open a criminal investigation against her—thus causing her to plead the 5thAmendment 30 times in refusing to answer questions, and, just weeks ago, also, had an explosive lawsuit filed against her alleging that she has engaged in massive corruption—all of which has led the SVR to shudder at the very thought of how she was able this past week to come within mere feet of President Trump in the White House. 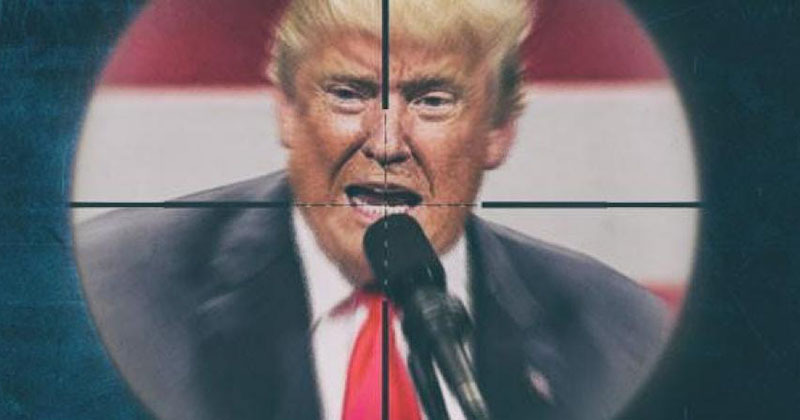 As the assassination of President John F. Kennedy proved that his killing could not have been successfully covered up without the complicity of local Dallas-Texas government and law enforcement officials, this report concludes, President Trump’s soon to come visit to Morgan County-Alabama to campaign for Republican Party US Congressman Mo Brooks now has the SVR terrifyingly considering that another “Deep State” public execution of an American president may be nearing—and whose graves fears where heightened after Morgan County-Alabama Sheriff Ana Franklin passed to Vice President Mike Pence a secret message—the contents of which are not known, but that comes at the exact same time Pence is being alleged to be the author of an anonymous New York Times letter that unmistakably warns Trump will be eliminated “one way or another”—and that has Alex Jones, the most banned conservative leader in America, now warning his followers that internet martial law is now underway ahead of Trump’s assassination. September 9, 2018 © EU and US all rights reserved. Permission to use this report in its entirety is granted under the condition it is linked back to its original source at WhatDoesItMean.Com. Freebase content licensed under CC-BY and GFDL.